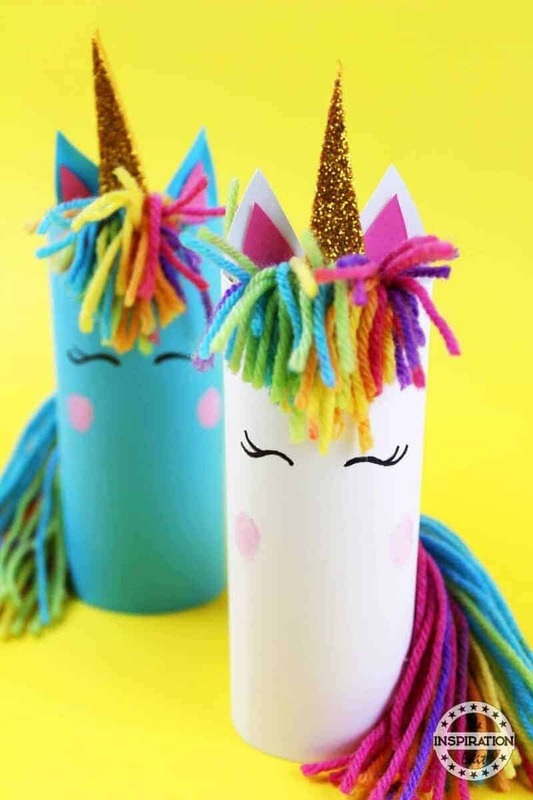 Are you looking for a fantastic handmade unicorn craft to create? 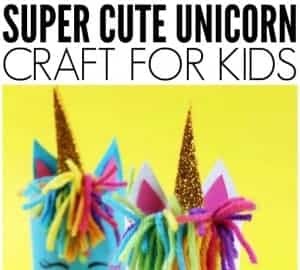 Unicorns are really fun, magical creatures and are super fun to make with little ones. Today we have a super cute and easy DIY Unicorn craft made from toilet tubes. 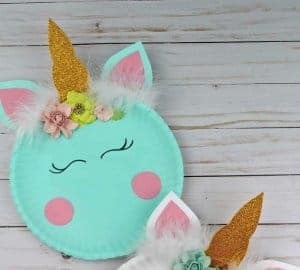 This is a great activity to make at the home, a fantastic unicorn preschool activity and a great idea for a Unicorn party. 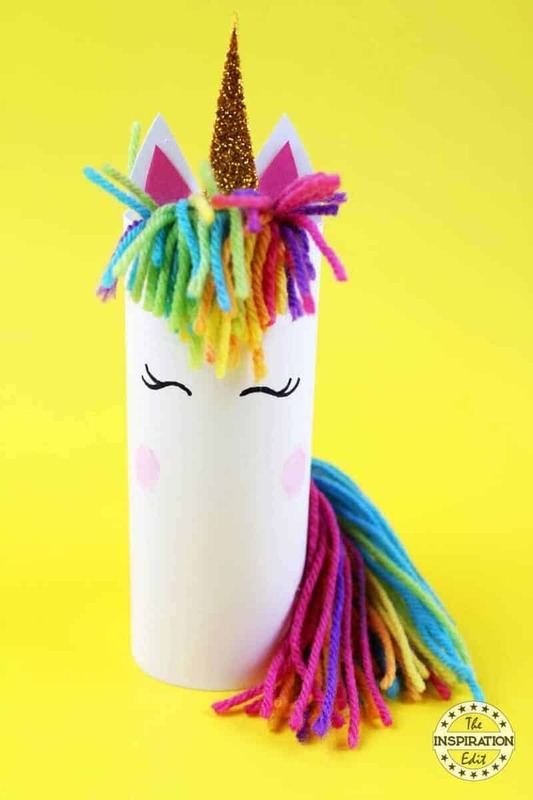 We even have more Unicorn Craft ideas including a fantastic Unicorn painted rock for you to make. I hope you enjoy this unicorn project as it’s super simple and easy to create. 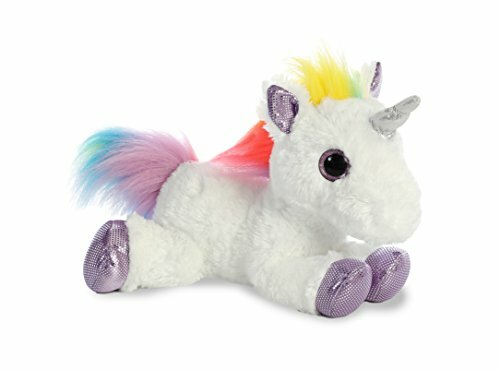 Do you know much about Unicorns? 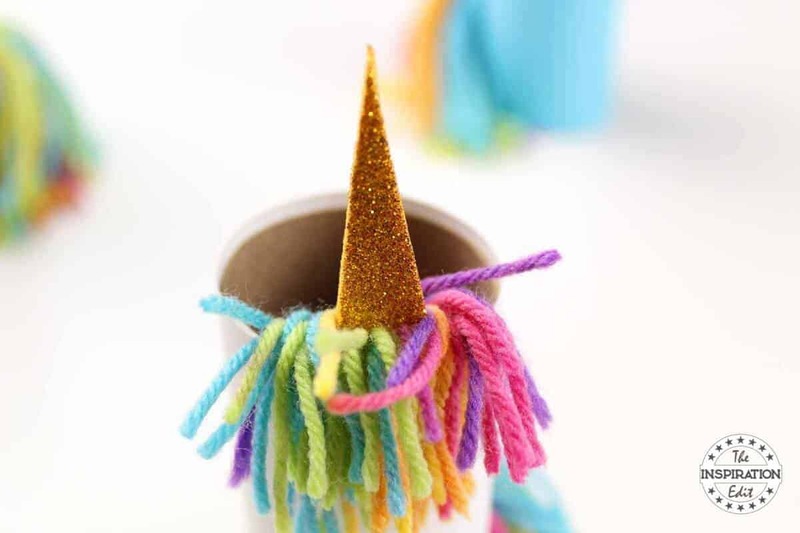 Well today I am sharing 4 Interesting facts about Unicorns you may not know. 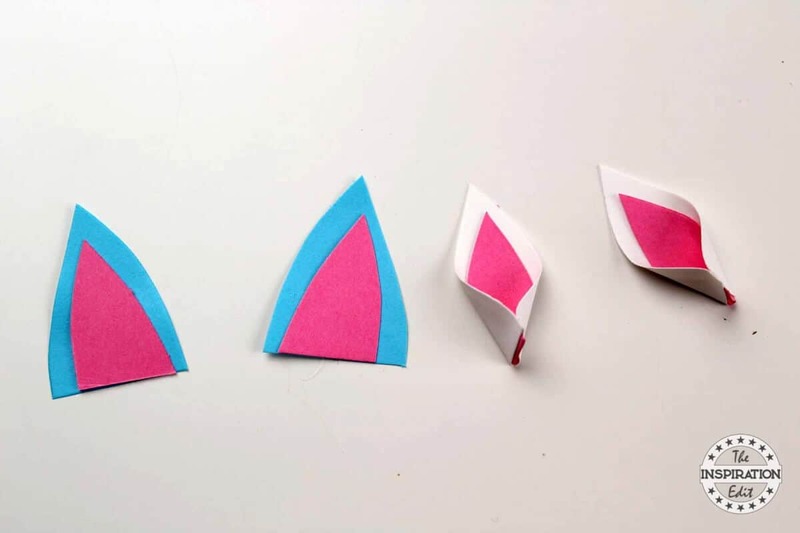 Unicorns have soft hooves which make no sound when they move. Unicorns Horns have the ability to heal. Unicorns are actually mentioned in the Bible on at least 8 occasions. 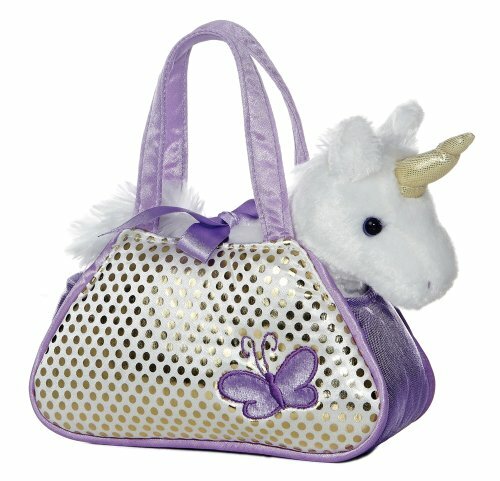 To make this fantastic Unicorn project you will need the following items. 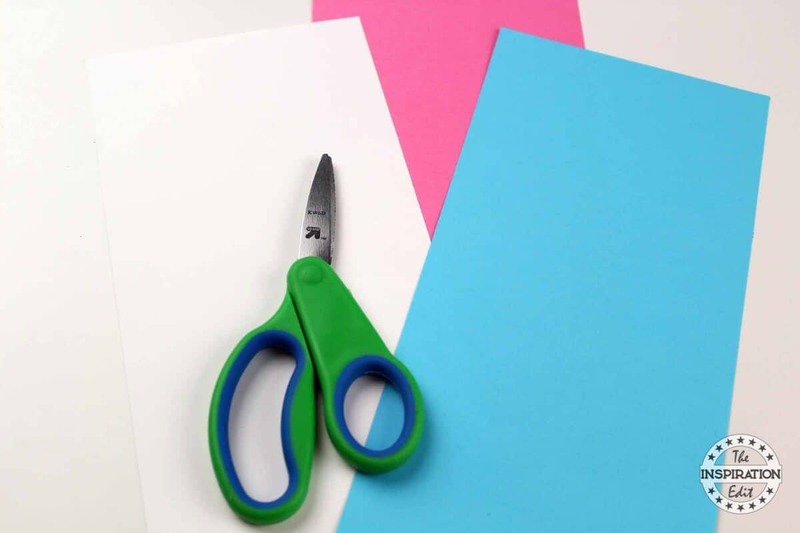 Measure the strips of paper long enough and wide enough for your toilet paper tube and then cut to size. You can choose any colour you want to pick. 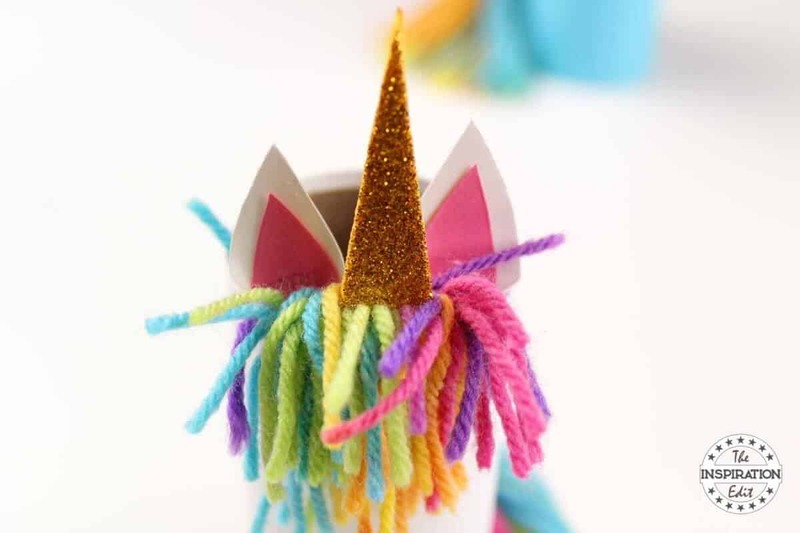 I think purple, pinks and blues go well when making a DIY Unicorn. 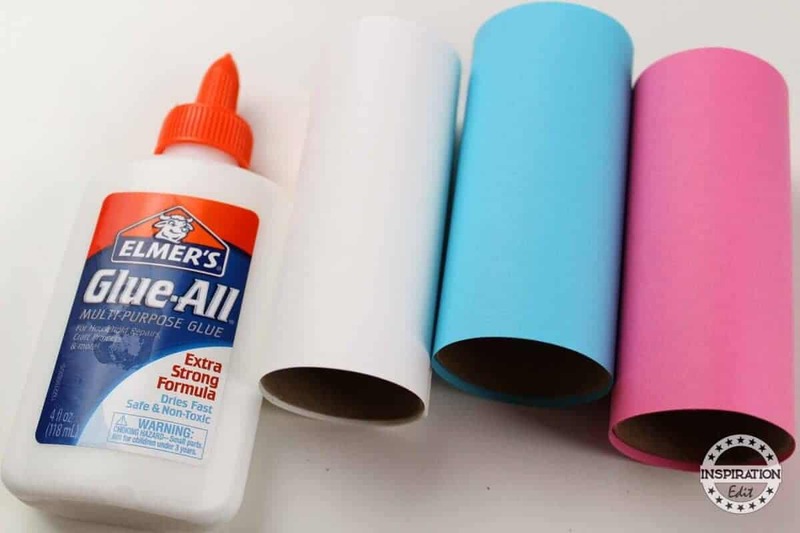 Wrap the paper around the toilet paper tube and secure with glue. 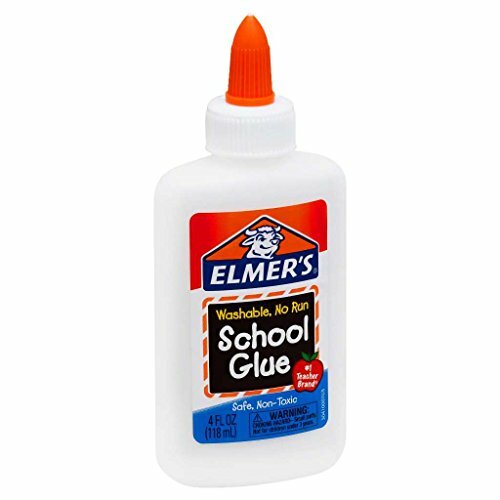 This creates the body of your DIY Unicorn. 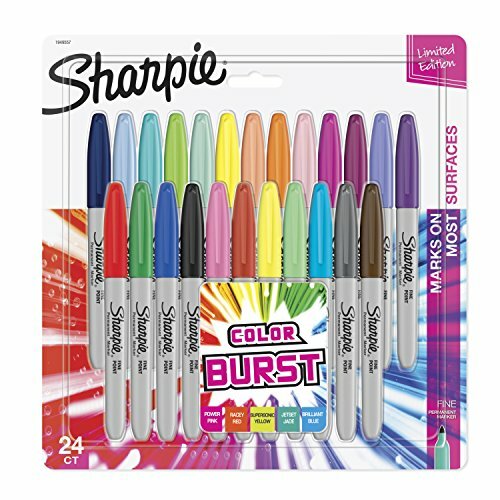 Repeat using all the different colours you that you have picked out. 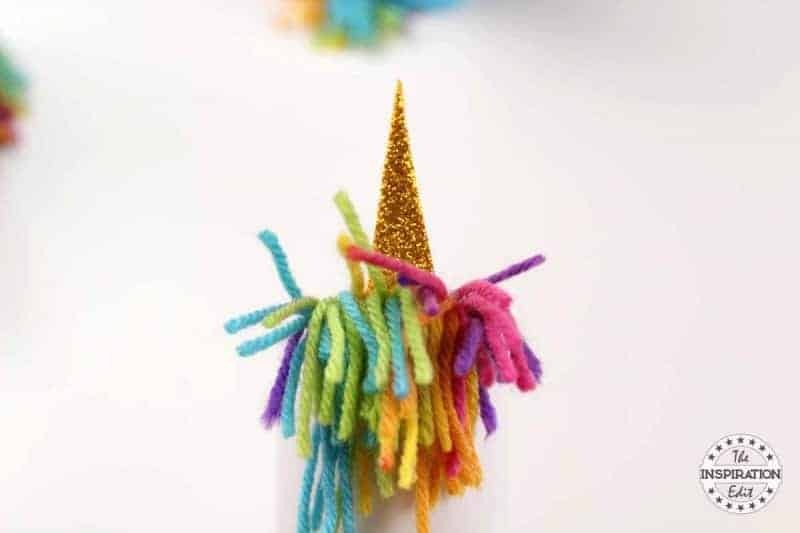 You can make just one or a whole collection of Handmade Unicorns. 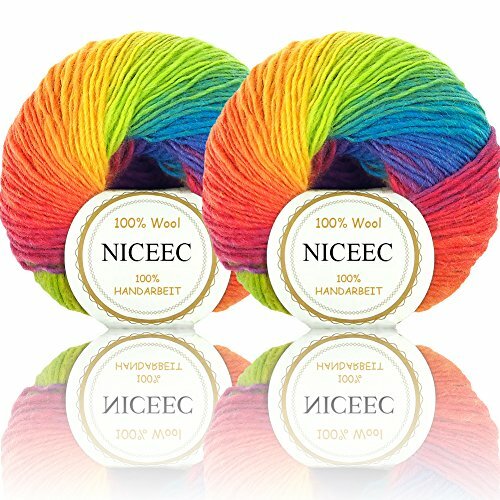 Next you will need to gently pull the yarn off your fingers. Tie the yarn up in the middle with another piece of yarn. You will have yarn of equal length on each side of the tied portion. 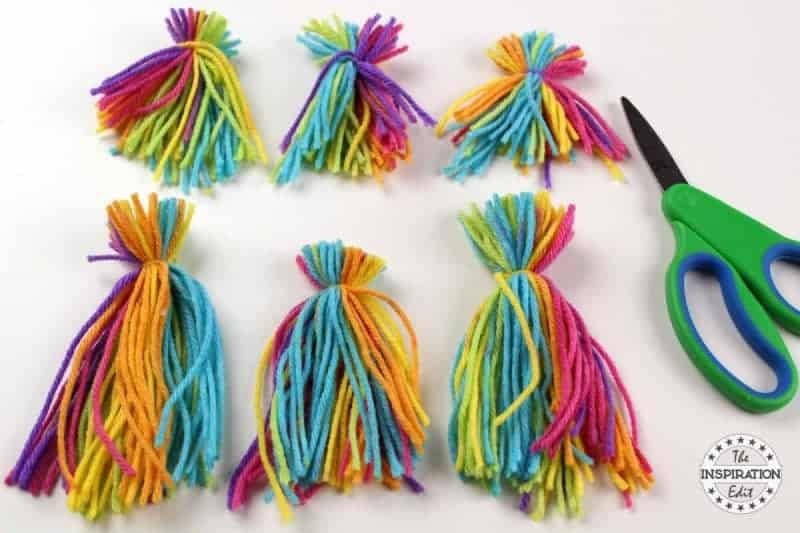 Tie the yarn a second time on one side to secure and then cut the yarn into 2 pieces. One will be shorter than the other. 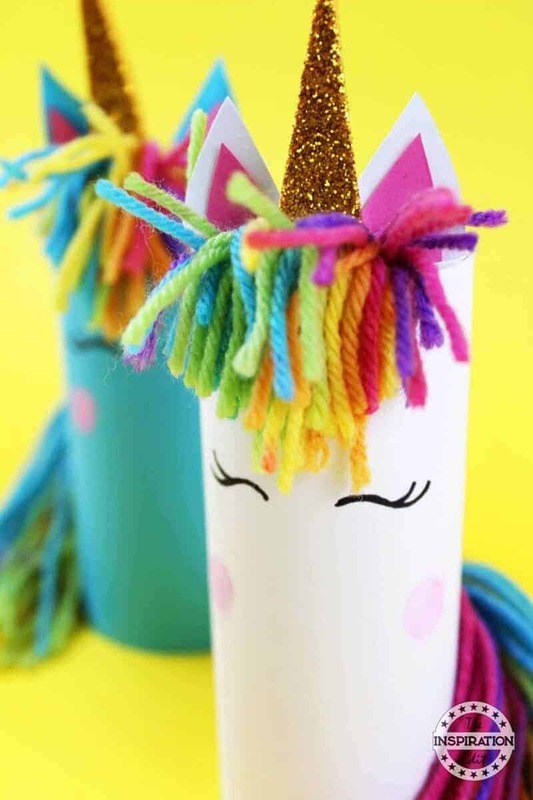 This creates the hair for your DIY unicorn. 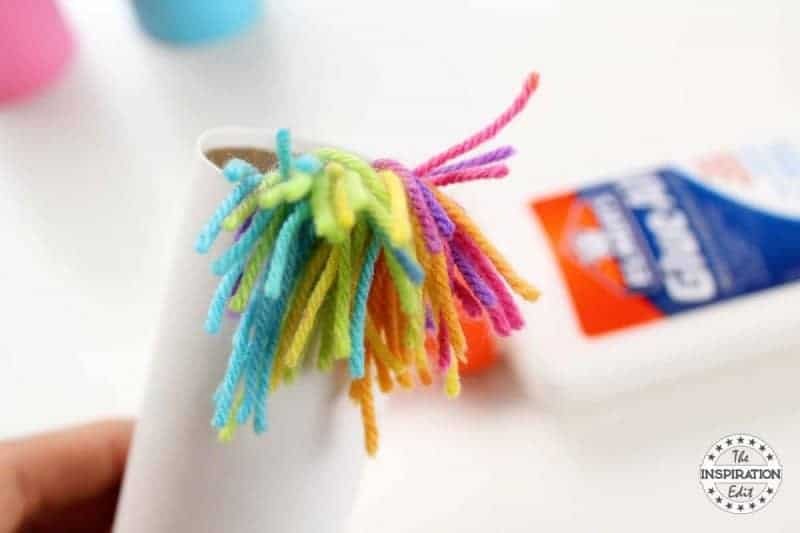 Glue the smaller chunk of yarn inside the top of the toilet paper tube, leaving some of it hang out over the toilet paper tube. 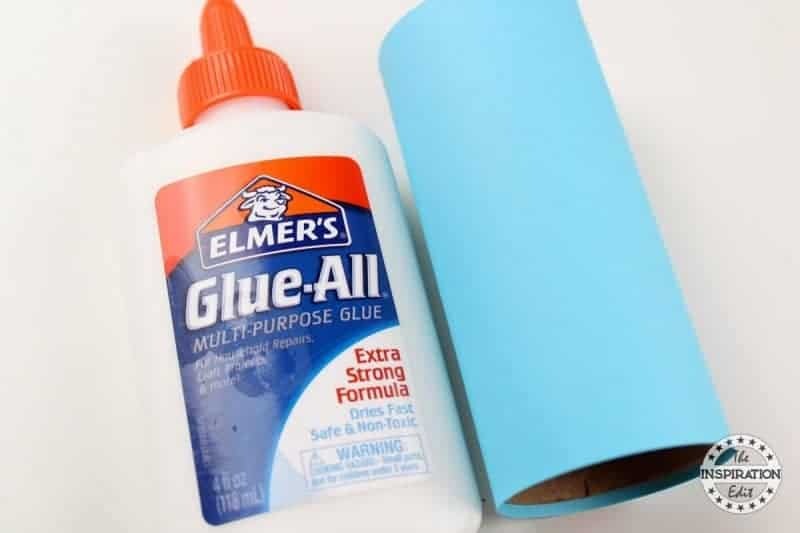 Glue the larger chunk of yard on the middle of the toilet paper tube in the back. This is the DIY unicorn’s tail. 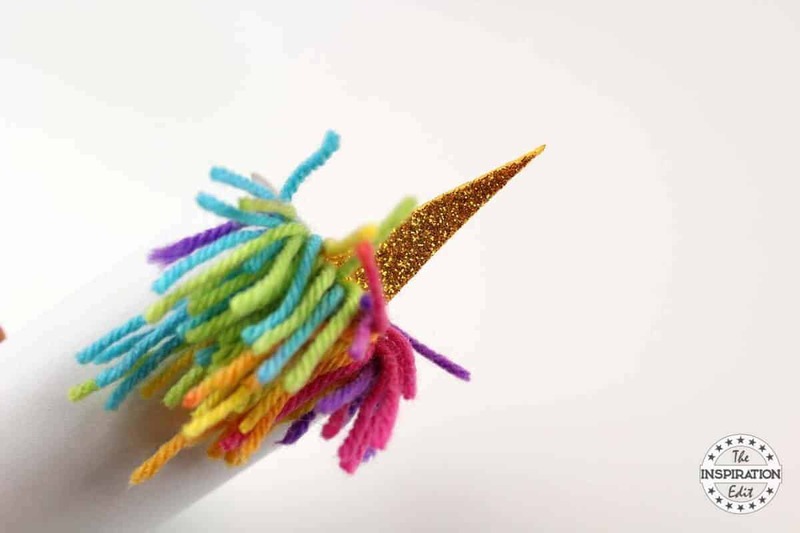 Now you can use the scissors to style your unicorn hair and make the unicorn craft unique. Glue the ears on top of the yarn hair. Dig the bottom of the ears into the hair so you don’t see any icky parts. 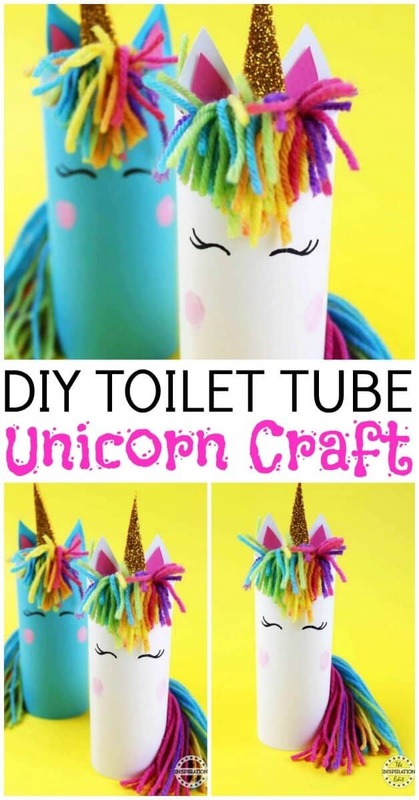 Your toilet paper tube unicorn craft is now finished! How many will you make? 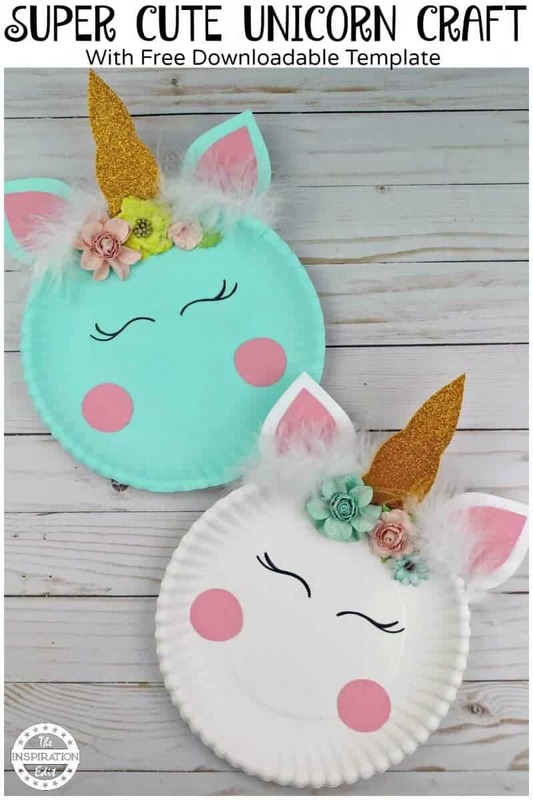 Check out our Unicorn Paper Plates Here! This is the cutest! I am going to print this up so my girls can make them this week. 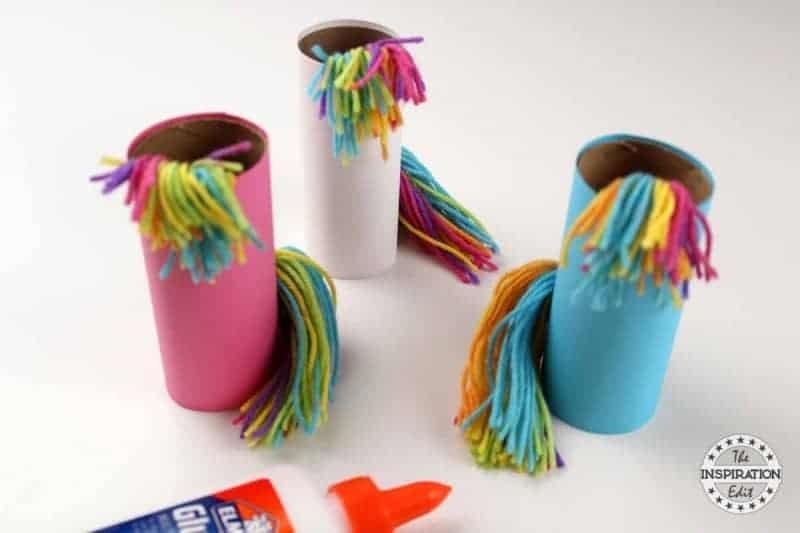 That’s such a cute and easy craft idea! My boyfriend’s nieces would be obsessed with this project! This is SOOO adorable! 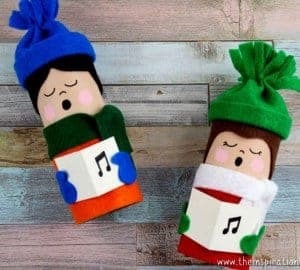 I wish I could come up with cute crafts like this! These are TOO adorable!! 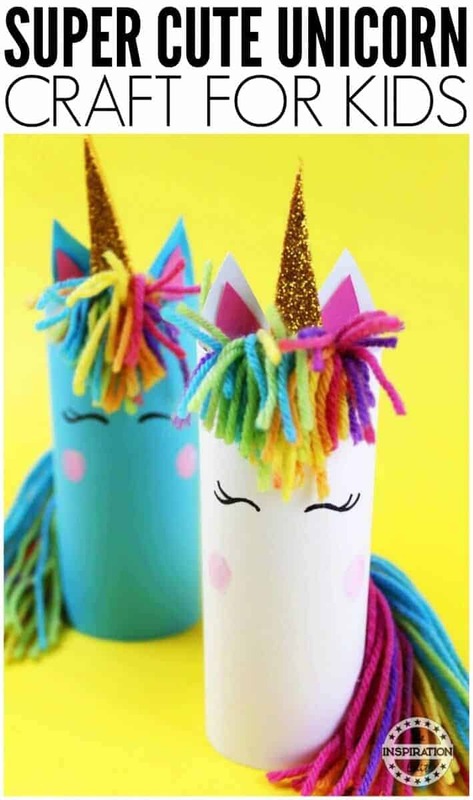 I’m not a huge unicorn fan, but my girls are and this would be the perfect craft to do with them. Thank you! Such a cute idea! I’d love to try this with my kids, they’re only two, but they LOVE attempting crafts! 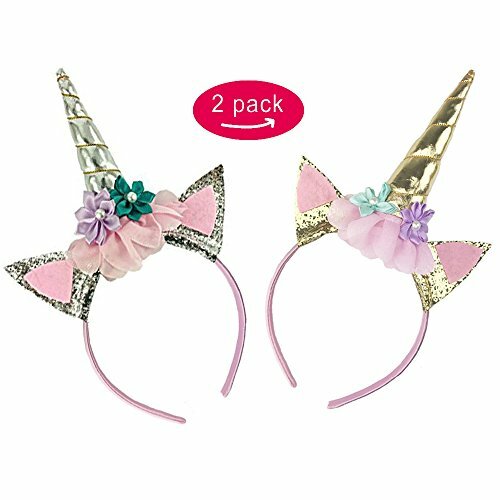 I love these – just perfect for unicorn lovers!!! 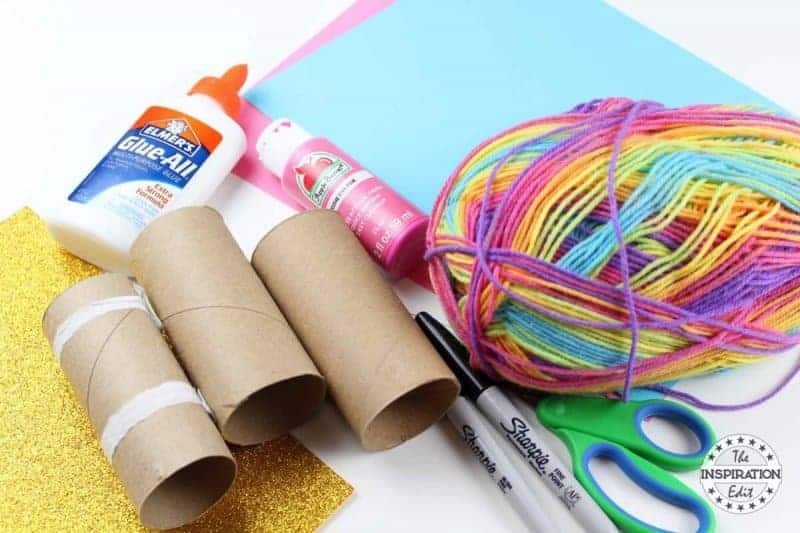 A great art & craft activity to try out this summer, I think!! !